There, I said it. I wouldn’t believe it until I ran a half-marathon, but now I can’t deny it. 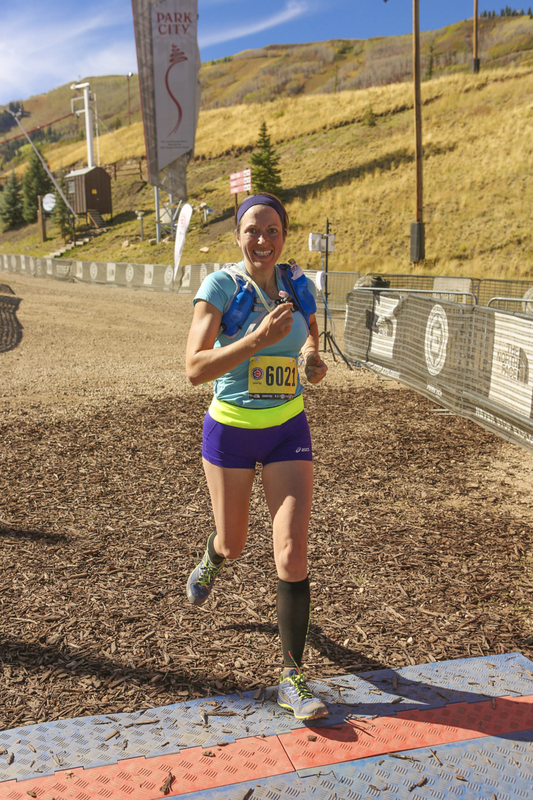 I didn’t run just any half, I ran the North Face Endurance Challenge Series, one of the toughest out there…a trail run, beginning at 6,900 feet, and climbing to nearly 9,000 feet. Running a half-marathon at any age is an accomplishment achieved through dedication and training. For me the challenge was even bigger. I’ve loathed running most of my life because it hurt. I’d try, but would end up gasping for breath while others left me behind. My inner mean voice screamed that I was a lightweight and would never be a runner. What I didn’t know was that I’d been suffering from exercise induced asthma – likely for most of my life. My general doctor finally diagnosed the problem and gave me an inhaler, but I still didn’t feel like a runner. Cardio endurance came slow because I still had breakthrough asthma symptoms. I pushed myself to do a couple of 5k races and the Dirtybird Mud Run held at Snowbird Resort, but I always walked a big chunk of each. In fact, I ran my first non-stop mile about six months ago. Yes, really! Prior to that, I’d always slow to walk and catch my breath. Then I was offered a sponsorship to run the North Face Challenge. My inner voice said no way…but my fingers typed “sure!” in a reply email. 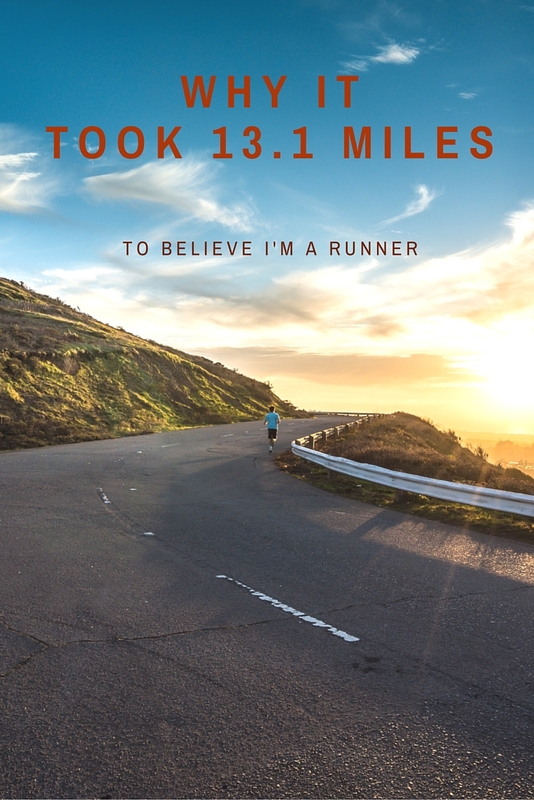 Suddenly it hit me that I’d committed to run 13.1 miles. What was I thinking? Distance running is a learning process. Pushing physical limits requires more than willpower and hard work. Alone, willpower and effort may leave you injured or uncomfortable. You need a plan, but you also need to experiment, especially with food. Each body is different in subtle, and not so subtle, ways. I learned a lot about my body over the last three months. For example, the first 1.5 miles of a run feels rough, then it gets easier. I also learned what foods my body can handle before and during a run, and what makes me miserable. I avoid heavy food for at least two hours before a run. While running, I need to pick at gels slowly and add electrolytes into my hydration bladder. This way my intake is paced. If I take in sugars too fast, I cramp…bad! I made impressive gains throughout my training. Occasionally I’d feel like I was dragging, but when I looked at my stats I’d learn that I’d actually beat my previous time. My luck didn’t last however, and suddenly my quest to run a half-marathon was in jeopardy. Two weeks before the run, I caught a respiratory infection that settled into my lungs (common for asthmatics). It was brutal! I spent days laid up in the house and began hacking up stuff that I won’t describe. After several days I began to improve and tried to run, but quickly realized I wasn’t THAT well. Dizzy and in pain, I had to stop and walk back to the car. I tried to comfort myself with the idea that running is about the journey, but the sentiment felt empty. I’d pushed so hard for months and might not be able to run the race. I vowed to keep trying. Two miles into our last training run, I sat down in the dirt, gagging and spitting. I didn’t know if I could go further. Head on my knees, I checked in with myself and realized I still had something left. Digging deep I stood up and trotted along the trail, paying close attention to my breathing. A mile down trail it was still okay, then two then 10. Yup, I ran 12 miles total and felt pretty good for most of it. Where I found the strength, I don’t know, yet I knew something was off in my lungs. I needed help. Luckily my allergist works with a lot of athletes. Together we adjusted my medications so that I could run. Even with the new meds, I still had a challenge to face. He informed me that my lungs were running at about 87%. On race day I committed to pacing myself. I knew I wasn’t 100% and set a pace I could maintain easily. Four miles in, I was surprised to find that I was comfortably running faster than planned. Even though I felt good, I held back until mile-eight then let myself go faster. Soon I was passing many of the people who had passed me in the fist few miles. Drawing from reserved energy, I finished with a smile on my face. Steve finished about 15 minutes before me and cheered me on in the final stretch. We hugged and “high-fived” before hobbling back to the car. After three months of hard work, trial and error, some pain, and 13.1 miles, I finally believe I’m a runner. Endeavors this big are rarely archived in a vacuum. I have a lot of people to thank for supporting me. At the top, I’m deeply grateful to my loving partner, Steve, who never doubted my ability to run 13.1 miles, even when I doubted myself. He called me a runner before the label felt comfortable to me. At points he pulled me up off of the trail. He trained for the race with me, also his first half-marathon. Congratulations sweetie, you crushed it! A month into training I realized that I needed a specialist to deal with my asthma. Dr. David Gourley listened and examined my breathing and allergies using a series of tests that took hours. 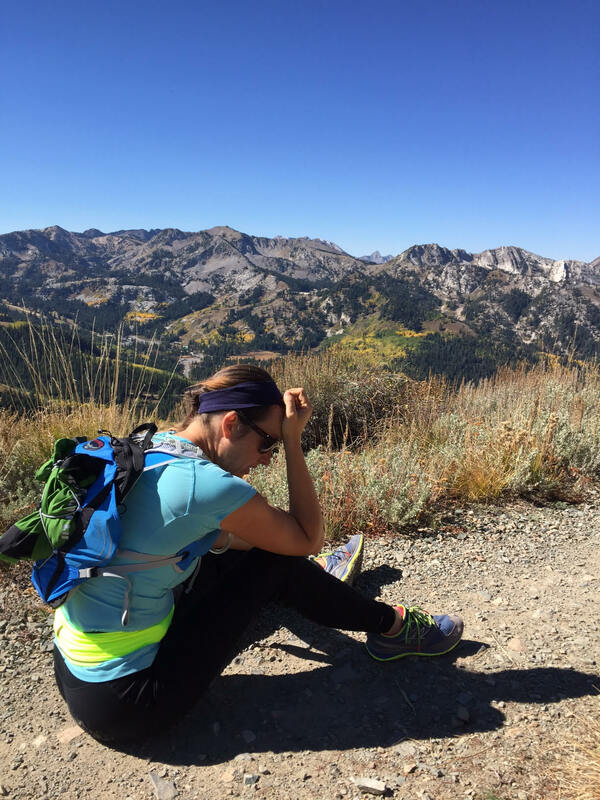 I left with a treatment plan that launched me into a new world of running. I had no idea how much I’d been struggling. I can genuinely say that he and his staff changed my life. Thank you! Last, but not least, I want to thank Gore-Tex North America for sponsoring me. It was their invitation that nudged me to take on this huge task. They knew I had a challenge to face, but stood behind me without hesitation. In addition, they outfitted me with sweet North Face trail-kicks and a Gore Running Wear jacket that is now my go-to for high-energy activities. More than their gear impresses me; they support the people they serve in a way that is rare these days. Thank you for believing I could beat my asthma and run the race! In my next post I’ll detail our gear and tech choices for the race. We used a mix of new and old gear, plus some free stuff as well. In some cases the best choice was to go without. I’ll give you the entire beta on this shortly. For now I’m going to share my experience. I’ll add a link to half-marathon tips that I wrote for Sierra Trading Post as soon as it’s published as well. You are 100% a runner and 1000% awesome. This race series looks like such a fun one. I’ve checked out the options before and keep my dreaming open. 🙂 I am super happy for you, congratulations! I also think it’s super cool that you took a moment for gratitude. It’s important to remember that! I hated running, despite running with the company of 30 or so other military personnel. It was a ‘chore’ that many dreaded but were required to do for many years and most mornings. 6 to 8 miles each morning in all-weather with intermittent shuttle runs and sprints up embankments followed by press-ups, burpees, squat-thrusts and fireman lifts. I was never really a ‘lone’ runner but can empathise with how it must feel without any support to really push you on when needed. It isn’t until you reach middle age that you realise how important those early sporting years are for your general long term health and fitness and how that really helps with other sports that may perhaps be slightly less energetic than running. Great inspirational blog. Thanks Erika. Beautiful post. I had struggled with some major health issues and did in fact have serious asthma myself. After 18 months of recovery from a ruptured esophagus from an ulcer, I am back on track and have a few races lined up…including the Avocado Half Marathon in Fallbrook ,CA next month. This is very inspiring and I applaud your not quitting. Way to go!!! Hi Tracy, thank you for your kind words! I’m glad you’re recovering well from your ulcer. I lost a friend to one a couple of years ago because he didn’t treat an ulcer and it compromised his ascending aorta (it had already passed through his esophagus). People don’t realize the how serious it can be. Stay healthy!